This year, DreamWorks Animation celebrates its 20th anniversary. To mark the occasion, Callum Petch is going through their entire animated canon, one film a week for the next 30 weeks, and giving them a full on retrospective treatment. 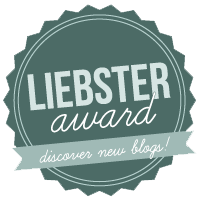 Prior entries can be found here, should you desire. So… I won’t actually be talking about Spirit much, this week. See, this is less down to the quality of the film and more because everything that surrounds it is vastly more important. 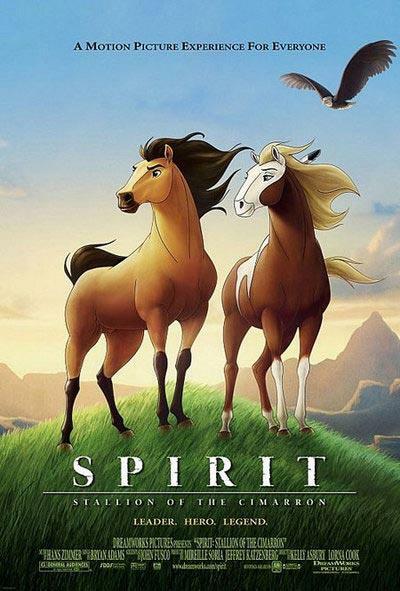 Spirit, you must understand, had the misfortune to be released just as traditional animated Western films where entering the last stages of their lifespan. And, well, that whole business is just way too interesting and important to not talk about, especially if you want to know why everyone, even the House Of Mouse, decided to switch to CG. So, a lot of this week will be devoted to looking at that whole business, especially seeing as it fits into next week with the last traditionally animated film that DreamWorks Animation has released so far. I’ll get Spirit specifically at some point but it’s more than likely going to have to fall by the wayside, this week. I’ll mop up the points about it that I want to/need to touch on next week if I run out of time here. Sound good? If not… well, sorry, I guess; you can’t really change an article that I’ve already written. Sorry. Right, with that being said, let’s flash back to 1999. Again. You’ll recall back in the entry regarding The Road To El Dorado that 1999 was a pretty terrible year for non-Disney-affiliated animated features. You may also recall in last week’s entry on Shrek that 2001 was a much better year than both 99 and 2000. Again, financially, not with regards to quality (1999 is pretty much untouchable and I will fight anyone who tries to claim otherwise). However, one would be wise to pay attention to which films were the actual big successes during the period from 1999 to 2003. Tarzan, Toy Story 2, Monsters, Inc., Dinosaur, Chicken Run, Shrek, Jimmy Neutron: Boy Genius, Ice Age, Lilo & Stitch, Finding Nemo. Notice that the CG successes vastly outnumber the traditionally animated ones, that said traditionally animated ones are by Disney and that those are only 2 of the 6 films they released during that time frame. Now, initially, this doesn’t seem too significant. A whole bunch of animated films are released every year (hell, fifteen have been released in America this year, at time of writing) and few of them are actual bona-fide hits, some will fall by the wayside (again to use this year for an example, remember how Legends Of Oz: Dorothy’s Return happened?). The problem comes from how lopsided that equation looks. Again, CG movies are becoming the runaway successes and audiences are primarily skipping traditionally animated features. Imagine you’re an executive at one of these animation companies and you see these figures, the bottom lines, the only parts that matter to you. What do you deduce? You deduce that nobody is going to see traditionally animated films anymore and that what the public wants instead are these fancy computermabobs. That, in case you were in any doubt, is how CG managed to push traditional animation out of the feature-length game. Raw figures. If there was any doubt left that traditional animation was officially a poison at the box office, 2002 killed it off mercilessly. Hey Arnold! The Movie, The Powerpuff Girls Movie, The Wild Thornberrys Movie, Pokémon 4Ever!, Adam Sandler’s Eight Crazy Nights, and the complete and total catastrophic bomb known as Treasure Planet all dropped in those 12 months and all sank without a trace. The year’s highest earner was Ice Age, which even outgrossed Lilo & Stitch, Disney’s only unqualified hit during the first half of the decade. The public weren’t biting and they especially weren’t biting big screen versions of cartoons that were supposedly major hits on TV, so why not pack up shop and move where the money is? Here’s the thing, though, and this should surprise absolutely nobody: it didn’t have to be this way. Yes, audiences did flock to the newest and shiniest thing available to a point (I would like to remind you that Disney’s Dinosaur would not have made $137 million domestic and $349 million worldwide if didn’t have that new tech smell), but they didn’t just give up totally on traditional animation. Spirit: Stallion Of The Cimarron, which we will get into if you hang on a bit longer, ended up taking a pretty good $73 million at the domestic box office, and people didn’t just suddenly decide to show up for Lilo & Stitch and then collectively make a pact to stop watching Disney films until the end of decade. The reasons why people stopped turning up to these films are because the marketing was atrocious, the release dates were really poor and… most of them just weren’t very good. The complete and total failure of The Powerpuff Girls Movie, meanwhile, can be laid solely at the feet of distributor Warner Bros. (and no, I am not just saying that because I am a huge mark for that show and for Craig McCracken in general). I mean, they put it up against Men In Black II, Like Mike and a still-going-strong Lilo & Stitch and gave people who weren’t already interested in the show absolutely no reason to care (that trailer above is literally the only one they made), what the f*ck did they think was going to happen? The Box Office Mojo report for the weekend even noted the bizarre decision to not have any evening showings for the thing! The Wild Thornberrys Movie opened the same weekend as Lord Of The Rings: The Two Towers, Hey Arnold! The Movie opened seven days after Lilo & Stitch, Pokémon 4Ever! inexplicably opened in limited release and stayed there for the duration of its run, Eight Crazy Nights had an abominable trailer (and sucked, so I don’t think anyone’s complaining in this respect), whilst we all know by now that Titan A.E. failed because nobody at Fox’s marketing department knew who they were supposed to be aiming the damn thing at (and, whisper it, it wasn’t actually a particularly good movie to begin with). To put it bluntly, the good movies primarily failed because the studios screwed them over royally, either on purpose or just down to plain old-fashioned incompetence, whilst the bad movies primarily failed because they sucked. By the time Home On The Range hit cinemas in 2004 and Disney openly announced that they were done with traditional animation, it was fair to say that even the House Of Mouse wasn’t hitting it out of the park like they used to. Every year, there are a handful of great films and a nice heaping slop of complete stinking garbage and, most of the time, the good ones make all of the money whilst the bad ones sink without a trace. The problem is that the good ones weren’t getting the attention and marketing power that they deserved as, post-Titan A.E. especially, studios had already decided that the new frontier was going to be computer animation and that traditional animation was going to drop dead sooner or later. So they helped speed it along by not pushing the golden eggs like they should have; instead of having a few high-quality successes towering over the failing mountain of slop, everything ended up taking a financial dive together, quality be damned, because nobody was trying to sell the damn films! You know why Lilo & Stitch was Disney’s only home run, financially and critically, for nearly 8 years? Because everyone knew it was damn fantastic and everyone knew it was damn fantastic because this was the genius marketing campaign that got people into the cinemas in the first f*cking place to enable them to tell everyone that Lilo & Stitch was A GREAT F*CKING MOVIE WORTH SEEING!! I’m sorry for the harsh tone of the last few paragraphs, but this whole thing really upsets me. People did not stop going to see traditionally animated films purely on the basis of computer animated ones being shinier keys that were dangled in front of their eyes. People stopped going because they all looked dreadful, even when they weren’t. Computer films looked different, they looked like a break from the usual crap that was being created and sold in the traditional medium. They were marketed better, in a way designed to capitalise on that newness (Dinosaur got butts in theatres because its main trailer was the outstanding opening five minute sequence to the film, falsely promising a much different film than the generic one we got), whilst traditionally animated films got the same marketing voice they always had and people were tired of it. They wanted something new, and these films were often doing something new, or at least something of high quality, and these films were often of a very high quality, but they didn’t look new and they didn’t look high quality so people stayed away, and that’s when they knew the film was coming out in the first frakkin’ place. The form was as good as ever, but the only people who knew that were the ones turning up, the devoted. So, if you’re wondering why traditionally animated feature films made in the West all but disappeared after 2004 and why Disney’s big return to the field collapsed in a heap after only two tries (2009’s great The Princess & The Frog, which opened one week before Avatar and had a poor marketing campaign, and 2011’s exceptional Winnie-The-Pooh, which opened the exact same day as the last Harry Potter and similarly received a really poor marketing campaign), now you know why. It’s primarily down to executives who had already pre-emptively decided that that the form was dead and decided to speed along the burial. And it’s also partly your fault for not giving them the bird and hunting them down anyway. Yes, I am still bitter that the failure of The Powerpuff Girls Movie has pretty much guaranteed that my Samurai Jack movie will never get made (yes, my Samurai Jack movie; I am so desperate for it that I have basically decided that Genndy Tartakovsky needs to make it to preserve what little sanity I have remaining). Right, then, with all of that addressed, and saving me a tonne of additional words next week, let’s get on with today’s film: Spirit: Stallion Of The Cimarron. Spirit: Stallion Of The Cimarron is both an experiment and a clear foreshadowing of the company’s far-more successful How To Train Your Dragon series. The experiment? Can we do what Dinosaur eventually chose not to and make a serious drama film about animals that the audience can relate to and love without them ever uttering a single word of dialogue out loud, and can we blend traditional animation and computer-aided CG and cel-shading without breaking the audience’s investment in the film’s reality? These are bold experiments, the first more so than the second as everyone was attempting to do the second in the onset of the 21st century in an attempt to stave off the pre-determined inevitable, and I do want to sit here and tell you that they are pulled off with aplomb by the film. See, technically, the film pulls off both splendidly and holds up majorly over a decade on from its first release; at its best moments, it is a work of pure art. Except there are a couple of fundamental things that drag the whole enterprise down from “incredible” to “frustratingly good” and those things are so fundamental yet easy to have avoided that I am actually upset at the film almost willingly crippling itself by featuring them. If you’ve read my thoughts on both How To Train Your Dragon movies, you can probably see why I made that comparison. The way that Spirit handles some scenes reminded me very much of that later success; they especially came to mind in the relationship between Little Creek and Spirit, with the scene where the former first tries to gain the trust of the latter enough to be able to ride him in particular. That dynamic is very similar to the one that plays out in the first How To Train Your Dragon only much more compressed for time (Spirit is about 72 minutes with an additional 8 for credits, but in no way does it feel like it has skimped out in any department). The difference is that whilst I feel that the HTTYD films are a whole bunch of individually excellent scenes failing to come together as a whole (and before anyone jumps in, yes, I am perfectly aware that I am in the minority on the series, a la my thoughts on Adventure Time), Spirit is a collection of individually excellent scenes that absolutely do come together to form an amazing, heartfelt and emotional whole… It’s just that that whole is almost irreparably ruined for me by two very definable factors. The first of these factors… Tell you what, I’ll give you a chance to figure it out before I tell you, because that enables me to just show you some of the film’s best scenes (which is the easiest way to get across to you just how fantastic the film is when it fires on all cylinders) and it’s also really, really obvious as to what the first of the film’s two problems is. The following scene is the second half of a sequence in which the film’s villain, The Colonel, has tried breaking in Spirit, who had spent his prior time being held in the camp against his will desperately trying to escape and resisting attempts to domesticate him. Just before this bit starts, it seems like The Colonel managed to successfully break Spirit. See if you can figure out the one thing that nearly ruined this exciting, fist-pumping and heart-soaring segment for me; it’s not hard. There’s a scene late on in the film where Little Creek, the Native American that Spirit escapes the U.S. Military camp with, has his village raided by the U.S. Army and Spirit’s love interest, Rain, rushes in to save Little Creek only to be shot by the Colonel and get washed down river. The scene’s existence is telegraphed from practically the first frame of Rain’s appearance, but goddamn is it still an absolute knife to the heart when it finally does arrive. Spirit’s confused dash through the chaos to find her, the moment when the penny drops for every viewer as Little Creek sits atop Rain with the Colonel directly across from them, her collapse into the river, Spirit’s mad and desperate attempts to keep her alive, the fall from the waterfall, everything that happens on that riverbank… Give me a sec, I am genuinely welling up just thinking about it; I was an absolute mess watching it. Then Matt Damon’s voice pops up to tell us what we already know and could deduce from the excellent animation (seriously, you could cut the narration from the film and lose absolutely NOTHING) in such an uninterested and emotionless way that I am constantly pulled back from 100% investment and a total emotional breakdown because his presence. Is. Just. Plain. WRONG. That scene would be a piece of goddamn art if his narration was cut, although it at least does distract from the question of why Rain doesn’t seem to actually be visually injured despite taking a bullet at near point-blank range. As for the second thing? Well, I’ll let you figure that out again. It follows right on from the clip embedded above and, quite frankly, you should figure this one out in about 10 to 15 seconds. Why do you think I have a problem with this scene, a scene that otherwise should have worked totally? That is correct, folks. Spirit has multiple songs by Bryan Adams and they are all absolutely godawful. The issue isn’t so much to do with the fact that they’re lacking in hooks or anything like that, it’s because they are 100% pointless. Much like the narration, its sole purpose is to engage any kids that may have grown restless watching a film about animals in which none of them speak human words, and to have lyrics that spell out exactly what is happening and what you should be feeling in the clumsiest and most distractingly on-the-nose way possible. They also don’t fit the rest of the soundtrack; whilst the score goes for a sweeping historical epic with a little Western tinge, the songs are late 80s/early 90s power ballads being delivered by a Bryan Adams that I spent the entire runtime mistaking for Don Henley. They don’t gel, especially when the songs start obviously straining for awards consideration. Every time one started up, and there are a hell of a lot of them so this is a frequent issue, I got pulled out of the movie due to Adams’ strained wailing, or a thuddingly obvious lyric, or the deployment of instruments that do not fit the mood the film is going for. The Internet is a place where people take seemingly innocuous things absolutely seriously, so I know that somewhere someone has edited together a version of Spirit that strips out the narration and the songs and replaces the still-not-great score with a much better one. Someone has to have and if there is one, or even just a copy of the film with all of those things stripped out (the animation was actually completed first and the narration, score and music were added on afterwards; like everyone involved saw the Mona Lisa in front of them and decided what it needed for improvement was a hacksaw randomly applied to various parts), I want it in my inbox ASAP. No joke, if the narration and songs were nowhere in sight, this would be one of my favourite animated movies of all-time. It just works, folks. It just totally works for me. The animation is smooth, natural and stunning, the character designs are strong, the shot composition is fantastic, the characters are remarkably well-crafted and ones that I formed strong connections to despite the lack of usual aids, like dialogue, and the fact that they’re not particularly deep, the integration of CGI is often near-seamless (check out the opening a bit further down and just try and spot when the shots switch from hand-drawn to computer-aided cel-shading), the tone, mood and atmosphere are perfect, and the film’s emotional gut-punches hit like a ten-tonne truck with rocket boosters deployed. But those two utterly boneheaded design choices sit there, sticking out like sore thumbs infected with rabies that won’t go away no matter how much you wish they would. I’d like to think that those are the reasons why the film didn’t really catch on with the public at large. The kids probably feel insulted by just how dumb the narration and songs think they are, and it simply wouldn’t get taken seriously as a film for older viewers because every damn time it gets locked into a groove the pre-school level narration and dreadful rejected 80s power ballads rear their heads and remind older fans like me (yes, 19 is granddad age when analysing animated films in this scenario, shut up) that the film isn’t aimed at us either. It makes the film appear confused, even though it really isn’t. Unsurprisingly, I am not the only person to call out the film for these creative choices, so I wouldn’t be shocked if that’s why Spirit never became a rousing box office success. Well, that and its marketing. Seriously, “a motion picture experience for everyone” is something your marketing department comes up with as a first-draft placeholder or when they’ve truly just stopped giving a sh*t.
I want to love Spirit: Stallion Of The Cimarron. I really, really do. That film hit me hard, worked so well and genuinely surprised me with its quality and ambition. I just absolutely wish that everyone involved hadn’t decided to shove their dicks into the cake at the last possible moment. Present me with a narration and soundtrack-free version, and I shall rescind everything negative I have said about the film in this article and spend the next half hour lecturing you on the many, many things it does right. It really is a film that is within spitting distance of the gold medal, but then brains itself on the concrete metres before the line and literally leaves its brain matter spread along the track. Goddammit, I’m disappointed now. Next week, part 2 in our look at the fall of traditionally-animated Western features as we take a better look at the box office for Spirit and then shine a spotlight on the film that sent DreamWorks scurrying away from the hand-drawn arm of the industry for good: Sinbad: Legend Of The Seven Seas. Yes, in the early 2000s, the company did have a strange obsession with titles that were simply Character Name: Job Description, just go with it. Callum Petch finds romance when he starts to dance. Follow him on the Twitters (@CallumPetch)!